Don't overlook the positive, suggestive power of non-branded content. It acts as a supporting player to branded content. With an online publishing platform like social media, a blog, or video channel anyone can quickly and easily create and distribute positive content to enhance an online image and boost competitive advantage. But here’s the rub: Today’s online world is so saturated with content that it’s now imperative that you create the right content and distribute it the right way. How is branded and non-branded content used? Both branded and non-branded content incorporate key search terms that leverage latent semantic analysis (LSA) and are designed to show up in your Search Engine Results Pages (SERP's). Branded content will usually show up higher for brand-related search terms, often on the first pages. Non-branded content doesn't perform as well in branded searches, but this type of content supports the branded content through links. Both are usually positive in nature, working in the service of a better online reputation. And both require freshness updates to maintain high visibility in your SERPs. Branded content is clearly about you or your company. Your brand or a representative may be the author, or someone else is clearly creating content about your brand. With branded content it's clear who the content is about, and usually who commissioned it too. From an SEO perspective it typically features your primary search phrase in the page title <title> and header <H1> tag, plus relevant secondary phrases sprinkled throughout. With branded content there’s no attempt to hide the source or objective of the content. In fact, if readers don’t know that it’s about you after making it through the first sentence or two, the piece may not be doing its job. "Branded content is designed to positively engage social sharing about the brand." Branded content is designed to achieve prominent search rankings when someone is searching for the brand. Ideally, branded content done well should rank on the first search results page for a given keyword. Though you shouldn’t count on a particular piece of content achieving a particular rank, the prominence of your target keyword and semantic variations of it encourages higher visibility. Sometimes it’s tough to create first-rate prose while upholding SEO best practices, but all online content needs to thread that needle. While search placement remains a core focus of any branding campaign, savvy web reputation management services also prize content that’s engaging enough to attract social shares for the brand. 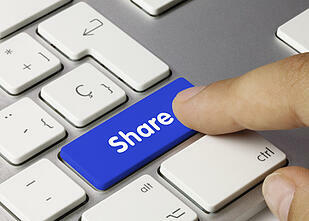 Branded content is designed to positively engage social sharing about the brand. Branded content is increasingly viewed by big-name companies as an integral marketing campaign component. Companies like Miller Coors are blurring the line between traditional marketing and reputation marketing with coordinated (and spendy) branded content campaigns. Such campaigns have yet to fully explore the power of branded content, but it’s apt to be a self-fulfilling prophecy: As more companies discover the virtues of paying to place high-quality, unmistakably advertorial content (often long form writing) on high-visibility web pages, and as concerns about “share-ability” make gains on the formerly all-important drive for optimal search placement, we’ll likely see a lot more of it. Non-branded content is much more subtle than branded content. While non-branded content might contain references to you, your company or what you/it does, they’re typically more oblique and aren’t the focus of the piece. In practice, this means no brand-specific (your name, company name, etc.) mentions in the title or header and only sparing used throughout—if at all. If brand-specific mentions are used, the piece typically isn’t structured to rank for them in search. Put another way, non-branded content is intended to support branded content as part of the branded information matrix. Non-branded content is generally distributed more widely than branded content. Since it doesn’t directly concern you and your company, non-branded content usually finds a wider audience—or is at least better suited to find a wider audience, in terms of page views and shares—than branded material. For example, your next piece of branded content, “Company XYZ Is at the Forefront of ABC Industry,” could talk about how you’re the leading innovator in your industry. Your next piece of non-branded content, “5 Trends Driving ABC Industry,” could talk in general terms about interesting trends that affect your industry. Since the non-branded piece appeals to anyone with an interest in your industry, it’s likely to gain wider traction. This can seem counterintuitive, since non-branded content is often shared or viewed more widely than individual pieces of branded content. But it’s true. Think of your non-branded content as a cast of character actors supporting your branded content, the star of your reputation management show. Non-branded content published on high-authority websites—your own domains, well-trafficked blogs and other web properties—is great for building links to your branded material. If it’s well done, it should attract inbound links of its own from high-authority domains, boosting its own attractiveness to search engines and creating brand authority around your web presence. To summarize: Non-branded content supports branded content. Branded content is obviously about your brand. Non-branded content is about your industry or other supporting information about your brand. Both kinds of content work together.